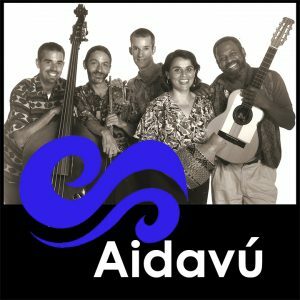 Musicians: Chus Alonso (flute), Tregar Otton (violin), Jorge Liceaga ( guitar), Steve Senft-Herrera (bass) and Sage Baggott (percussion). All compositions by Chus Alonso except “Tangos de la Tía Juana” by Jorge Liceaga and “Zapatos con Tacón” by Jorge Liceaga and Chus Alonso. All arrangements by Chus Alonso, with the collaboration of Guillermo Céspedes on “Tarareando” and “Tertulia”. Personnel: Eduardo Herrera, lead vocals, coro; Edgardo Cambn, coro; Monchy Estevez, coro; Chus Alonso, flute; Don Gardner, clarinet; Tregar Otton, musical director, arranger, violin; Sandy Poindexter, violin; Rachel Durling, violin; Bob Karty, piano, coro; Steve, Senft-Herrera, bass; Michael Spiro, congas, batá, rumba vocal; Carlos Caro, timbales and quinto; Sage Baggott, coro, guiro, bongo and batá. The Nocturne evokes passion for the night; its beauty, mystery and melancholy. Some of the great composers explored this genre for piano. This form inspires varied colors and intimate emotional landscapes. New Nocturnes is a collaboration project between pianist Allison Lovejoy and notable contemporary composers in the San Francisco Bay Area. These new interpretations of this musical form recall the Romantic and Impressionist works of Chopin, Debussy and Bartok, while the influences of jazz, flamenco and contemporary styles combine to create uniquely modern music. Allison Lovejoy commissioned me to write a nocturne for this project. “San Francisco: In and About the City” was a musical project about the neighborhoods of San Francisco by The Bernal Hill Players (Martha Rodrguez-Salazar on flute and voice, Leah diTullio on clarinet, and Jennifer Peringer on piano). The Bernal Hill Players commissioned me to compose ten minutes of music depicting San Francisco. I wrote a suite in three movements about three neighborhoods. Harana Kings is the result of Florante Aguilar’s search for haranistas as chronicled in the documentary film HARANA. They represent the truest practitioners of the vanished custom of Filipino serenading when men sang underneath the window at night to introduce themselves to a maiden. About fifty years ago, Felipe Alonzo, Celestino Aniel and Romeo Bergunio were active participants of this once-popular courtship ritual and are among its last surviving practitioners. I played laud in a few pieces in this wonderful tribute to the Filipino harana tradition. Music from the Coastal Region of Peru. I arranged a piece by Guillermo Rios, I produced its recording and played flute. Entitled Ventolera (Morning Mountain Air), it appeared on Guillermo Rios’ flamenco CD, Soul of Spain.